These influencers have highly influenced the Startup community. Lets join the group and get the most out of these linkedin influencers. Bio: Tie-loathing adventurer and thrill seeker, who believes in turning ideas into reality. Otherwise known as Dr Yes at Virgin! Bio: President and editor-in-chief of the Huffington Post Media Group. Mother. Sister. Flat-shoe advocate. Sleep evangelist. Author of THRIVE, now in paperback. Quotes: Inspiring Quotes by Arianna Huffington ! Bio:In 2004 I founded private equity firm Hamilton Bradshaw (HB) and joined the panel of heavyweight investors for BBCâ€™s Dragons’ Den in 2007. My main focus is on my charity work (goo.gl/IzuOUb), current investments, growing HB, my appointment as Chairman of the Start Up Loans Company (goo.gl/O5gp5A) and mentoring entrepreneurs to help ensure their success. Bio: Guy Kawasaki is the chief evangelist of Canva, an online graphic design tool. He is on the board of trustees of the Wikimedia Foundation, a brand ambassador for Mercedes Benz USA, and an executive fellow of the Haas School of Business (UC Berkeley). He was also the chief evangelist of Apple. He is also the author of The Art of the Start 2.0, The Art of Social Media, Enchantment, and nine other books. Bio:For over 30 years my passion has been helping people to BREAKTHROUGH and take their lives to another level – no matter how successful they already are – in the areas that matter most: their business, personal finance, intimate relationships, families, careers and health. 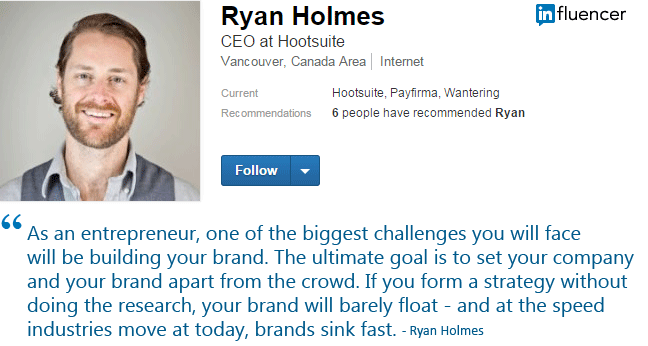 Bio: Ryan Holmes founded Hootsuite in 2008, growing the company from a lean startup to a global leader in social media with over 11 million users, including 744 of the Fortune 1000 companies. Bio: Margaret Cushing “Meg” Whitman is an American business executive and political candidate. 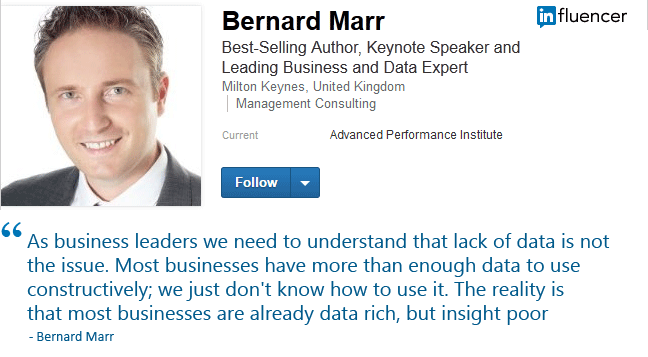 She is the president and chief executive officer of Hewlett Packard Enterprise as well as the chairwoman of HP Inc.
Bio: Bernard Marr is a best-selling business author, keynote speaker and consultant in big data, analytics and enterprise performance. As the founder and CEO of the Advanced Performance Institute he is one of the world’s most highly respected thought leaders anywhere when it comes to data in business. He regularly advises companies and government organisations on how to improve their performance and gain better insights from their data. Bio: Pete Cashmore is the founder and CEO of Mashable, the leading source of news, information & resources for the Connected Generation. Pete founded Mashable in 2005 in Aberdeenshire, Scotland when he was 19. His passion for sharing how web tools and social networks were transforming human interactions and reshaping cultures drove him to create Mashable. Bio: RedBalloon is considered one of Australiaâ€™s tech success stories. From just an idea and persistence back in 2001, www.redballoon.com.au has now served close to 3 million customers. I have many labels: entrepreneur, speaker, director, mother, author, blogger, innovator and a passionate individual to name a few. I’m the author of Live What You Love and now TV personality on Network TEN’s Shark Tank – and director of redii.com. Video: Naomi talks about what success means to her ! Bio:Craig Newmark is a self-described nerd, Web pioneer, philanthropist, and advocate of technology for the public good through his craigconnects initiative. In 2013 he was named â€œNerd-in-Residenceâ€ by the Department of Veterans Affairsâ€™ Center for Innovation in recognition of his volunteer work to enhance services to veterans. Bio: Dynamic entrepreneur, one of North America’s most recognizable business leaders. From delivering newspapers and waiting on tables, to launching a computer company from a basement, experienced the classic â€œrags to richesâ€ immigrant story. Bio: I was a Fortune 500 Human Resources SVP for eons. I’ve launched HR departments for several successful startups. While I was building HR functions from the ground up, I first questioned and then rewrote the practices for HR, recruiting and leadership in organizations. Bio: Ghostwriter, speaker, Inc. Magazine contributing editor, LinkedIn Influencer. In 2014 my Inc. posts were read by over 25 million people, LinkedIn posts over 20 million. Bio: Partner at Homebrew, seed stage VC focused on the Bottom Up Economy. Investors in companies such as Shyp, The Skimm, ManagedByQ, Layer and many other wonderful teams. Bio: Daniel Burrus is considered one of the Worldâ€™s Leading Futurists on Global Trends and Innovation. The New York Times has referred to him as one of the top three business gurus in the highest demand as a speaker. 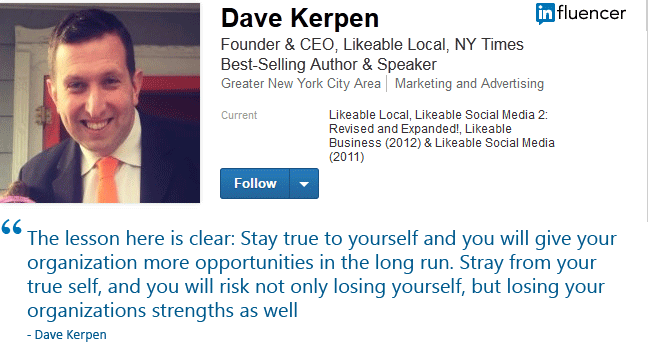 Bio: I’m the founder and CEO of Likeable Local, a social media software company serving thousands of small businesses, as well as the chairman and cofounder of Likeable Media, an award-winning social media and word-of-mouth marketing agency. 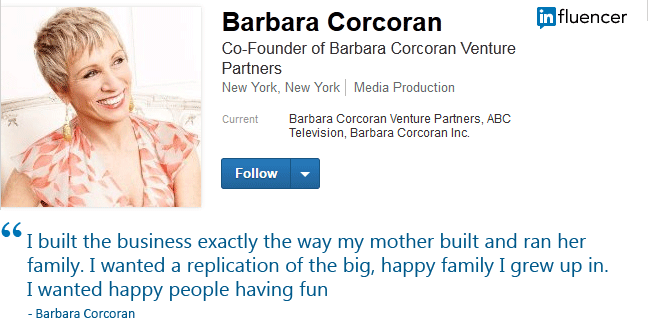 Bio: Corcoranâ€™s credentials include straight Ds in high school and college and twenty jobs by the time she turned twenty-three. It was her next job that would make her one of the most successful entrepreneurs in the country when she took a $1,000 loan to start The Corcoran Group, a New York residential real estate brokerage she sold in 2011 for $66 million. Bio: Hiroshi Mikitani is Chairman and CEO of Rakuten, one of the worldâ€™s leading e-commerce companies. Mikitani has been referred to as a maverick in his approach and is widely seen as the leader of an emerging, â€™New Japanâ€™, one which increasingly turns away from traditional modes of doing business. Bio: Carlos Ghosn, one of the worldâ€™s most respected business leaders, is Chairman and CEO of Renault, Nissan and the Renault-Nissan Alliance, the partnership that links the two global automakers through a unique cross-shareholding agreement. He also is Chairman of AVTOVAZ, Russia’s largest automaker. Bio: I’ve built businesses all my life. I was named to both Fortune and Crain’s 40 under 40 lists in consecutive years, and has been profiled in the New York Times, Fortune, and Inc.
Bio: Dr. Travis Bradberry is the award-winning coauthor of the #1 best selling book, Emotional Intelligence 2.0, and the cofounder of TalentSmartÂ®–a consultancy that serves more than 75% of Fortune 500 companies and is the world’s leading provider of emotional intelligence tests and training. Bio:With a career over three decades in fashion, Angela Ahrendts joined Apple as Senior Vice President, Apple Retail in May 2014. 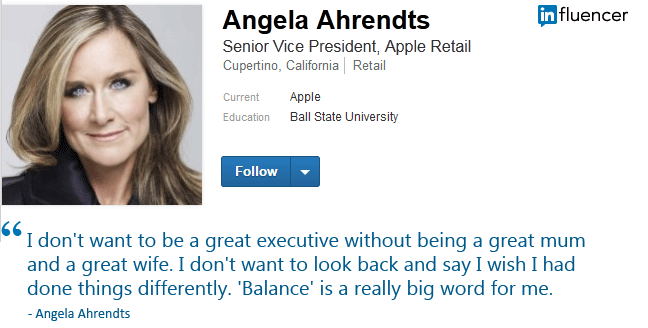 Angela joined Apple from Burberry, where she served as CEO and led the company through a period of outstanding global growth. Prior to Burberry, she was executive vice president at Liz Claiborne Inc., and earlier in her career she served as president of Donna Karan International. Bio: Kevin O’Leary’s success story starts where most entrepreneurs begin: with a big idea and zero cash. From his basement, he launched SoftKey Software Products. As sales took off, Kevin moved to headquarters in Cambridge, Massachusetts and went on an industry consolidating acquisition binge. Bio: Sir Michael Jonathan Moritz KBE is a Welsh-born venture capitalist with Sequoia Capital in Menlo Park, California in Silicon Valley, a former member of the board of directors of Google, a philanthropist and author of the first history of Apple Inc., The Little Kingdom. Bio: Shradha Sharma is the Founder and Chief Editor of YourStory. Shradha lives her life in stories. And believes, every story is unique and every story matters. Armed with degrees from St. Stephens College, Delhi and MICA, Ahmedabad, prior to founding YourStory Shradha worked with Times of India and CNBC TV18. Bio: An entrepreneur, marketer, investor and speaker – and among the most-tracked Indian businesspeople, with a following of over 400,000 across various social platforms. Bio: A seasoned executive with strong general management experience in business-to-business and business-to-consumer environments. A proven track record of increasing shareholder value through developing strategic plans, building high performing organizations and enhancing operational efficiency in both turn-around and high-growth situations. Bio: Recognized as Wharton’s top-rated professor, one of the world’s 25 most influential management thinkers and HR’s most influential international thinkers, one of BusinessWeek’s favorite professors and the world’s top 40 business professors under 40, one of Malcolm Gladwell’s favorite social science writers, and a World Economic Forum Young Global Leader. Bio: An American business magnate, investor, philanthropist, and author. He is the founder and CEO of Dell Inc., one of the worldâ€™s leading sellers of personal computers (PCs). Bio: Clara Shih is CEO and founder of Hearsay Social and member of the Starbucks Board of Directors. A pioneer in the social media industry, Clara developed the first social business application in 2007 and is a New York Times-featured bestselling author. She has been named one of Fortuneâ€™s Most Powerful Women Entrepreneurs, Fast Companyâ€™s Most Influential People in Technology, and Businessweekâ€™s Top Young Entrepreneurs. Bio: Caterina is founder and CEO of Findery, and co-founded Flickr (www.flickr.com), almost certainly the best photo sharing and management application in the world, and Hunch, which built the taste graph for the internet. She served as Chairman of Etsy, and serves on the board of The Sundance Institute. She is an active angel investor, board member and advisor. Bio: Greg McKeown is the author of the New York Times and Wall Street Journal bestseller “Essentialism: The Disciplined Pursuit of Less.” He is among the most popular bloggers for the Harvard Business Review. 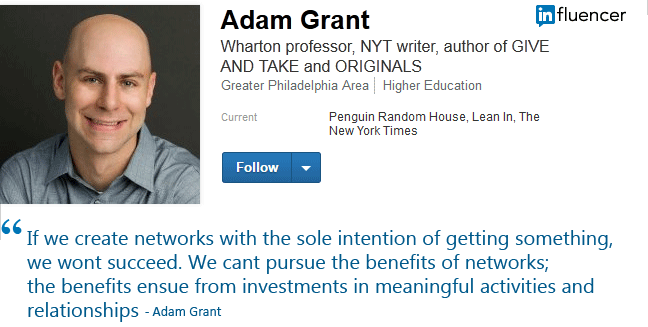 Bio: A founder of BuzzFeed and The Huffington Post, and developer of reblogging under the project “Reblog”. Bio: CEO, COO of Cullinet, the largest software company of the 80’s and founder and CEO of Platinum technology, inc., 8th largest global software company at time of sale to CA for 4 billion dollars. Bio: Iâ€™m a digital marketer and analytics junkie. Bio:Â Reformed executive, entrepreneur and operator turned venture capital investor with a broad experience in stage venture capital – both early-stage and late – micro PE investments – high-growth – finserv/fintech small post revenue companies, startups, turnarounds. I built the fintech investment arm of Route 66 Ventures and positioned it as a top 10 global fintech venture firm. Bio: Jeff is a social media marketing blogger, keynote speaker, digital strategist, consultant and best selling author. Bio: Known as the â€œZen Master of Marketingâ€ by Entrepreneur Magazine and the â€œMillennial Master of the Universeâ€ by Fast Company, Shama Hyder is a visionary strategist for the digital age. Bio: Director of Marketing at Promoter.io and cofounder of Startups Anonymous. Founder at http://stickinabox.com, a gourmet beef jerky box with an attitude. Former founder/CEO of Chasm.io/Wahooly. Writing at Pando.com and Inc. Marketing & growth guy. AngelPad Alum. SpaceX Rocket Launch and Landing For the First Time, WoW !